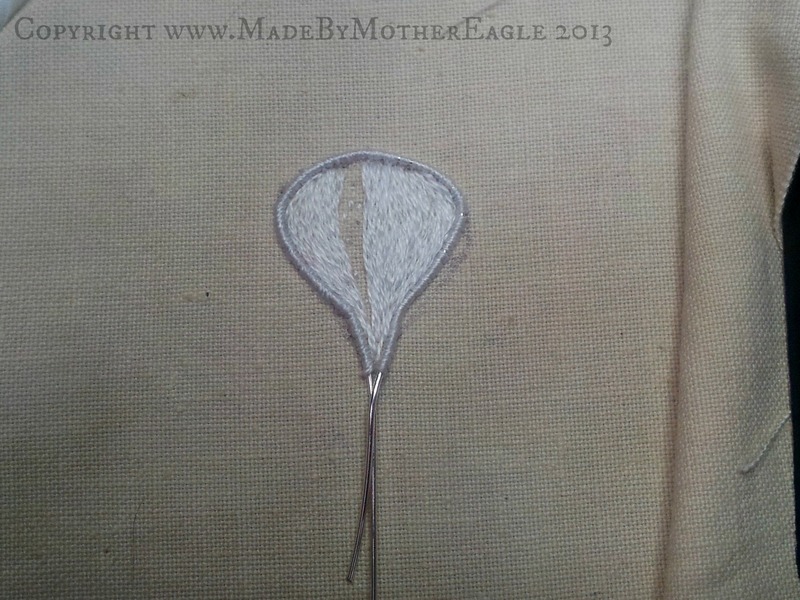 So one of my goals for this year for Mother Eagle is to stretch and develop my embroidery skills, and so when it came to this, the first new design of the collection I wanted to return to stumpwork techniques. 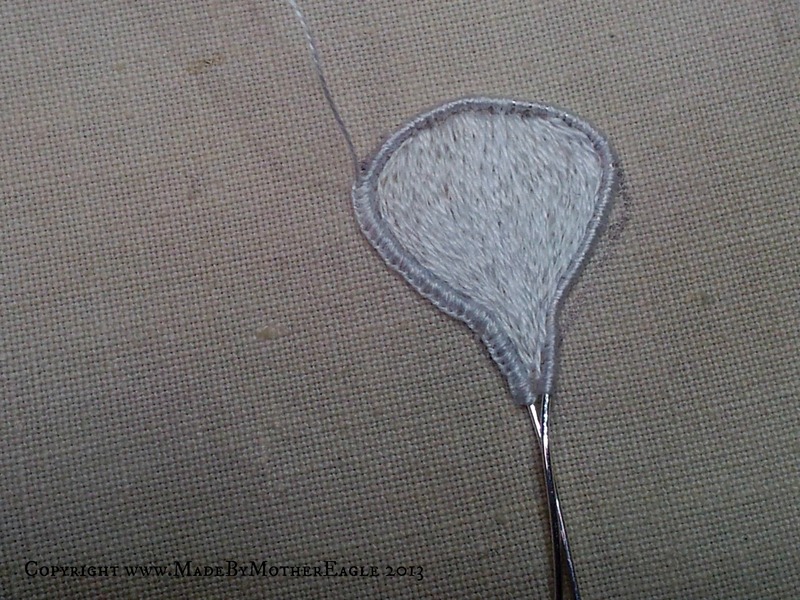 Longer-time readers may remember that when I began taking my embroidery more seriously I made a sampler of sorts, a Death Cap Mushroom using various stumpwork elements as a means to try new stitches. However I hadn’t really employed any in my jewellery so far. 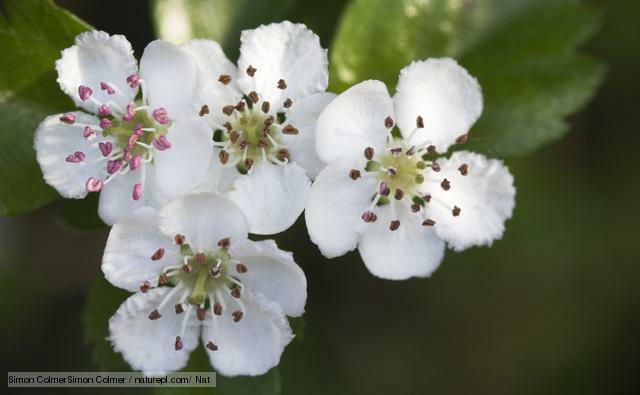 Looking at the Hawthorn tree, I felt the actual blossom would be the element I would focus on, as there are a few other plants on my list with red berries, and the white flower is as much an icon of the hedgerow. I chose to make the flower 3-dimensional by creating each individual petal from embroidered wired slips. First I used the image above to draw an individual petal shape, which I then used as a pattern to create out of silver plated jewellery wire. Made 5 of them – one for each petal. For this first one I marked the shape on the fabric too, but I didn’t bother on subsequent slips as the wire was thick enough to really hold it’s shape. 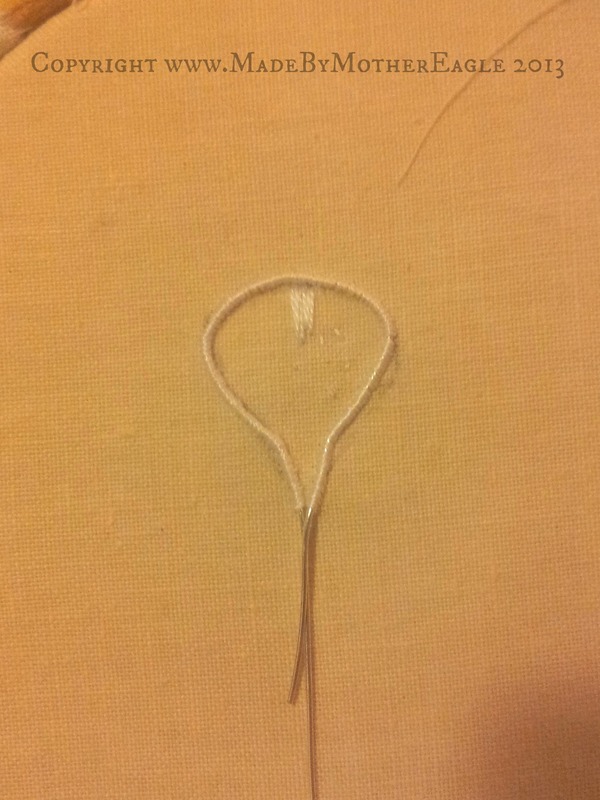 Then I started to couch the shape down using 1 strand of cotton. 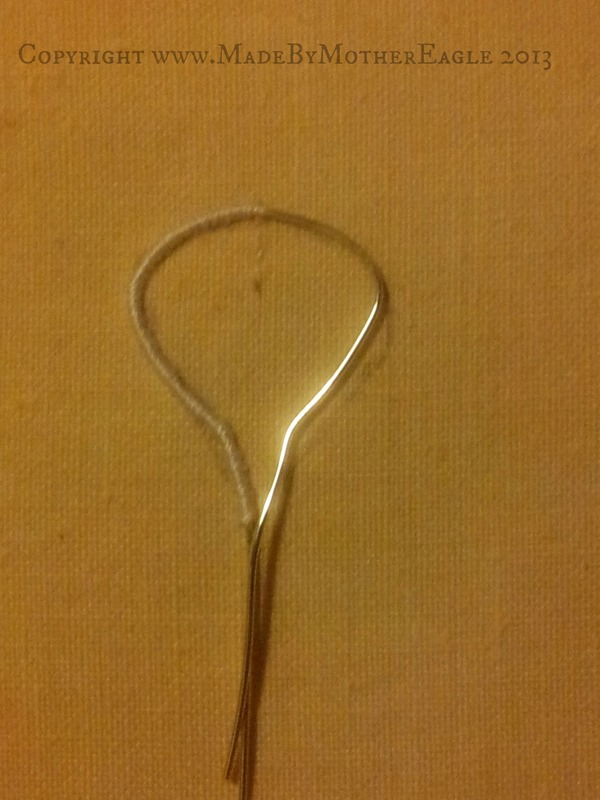 Even though this is a crappy photo you can see that I’m couching it very tight, which is called trailing. 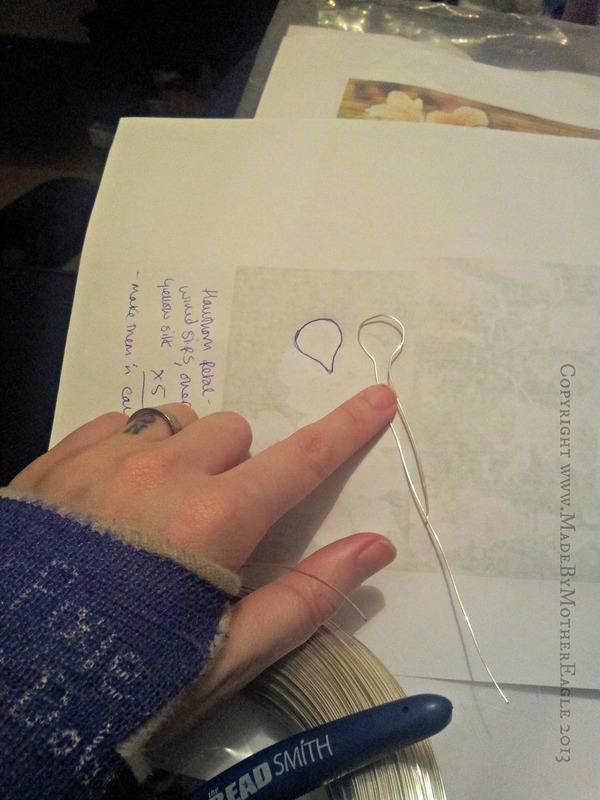 There are some books that say you can just couch it with a few stitches but this way gives you a much tighter neater finish. 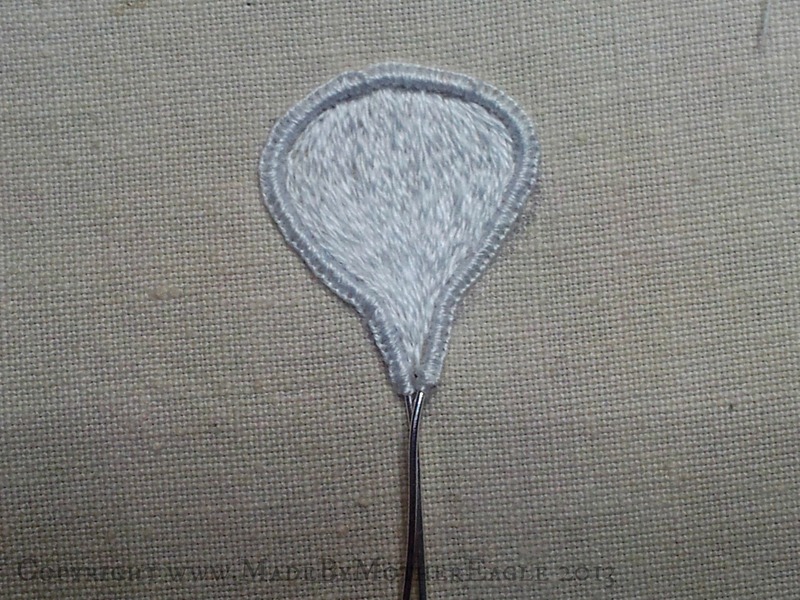 When the whole wire is couched down like this, I start filling the shape with embroidery. I should probably mention too that my fabric is a light calico. 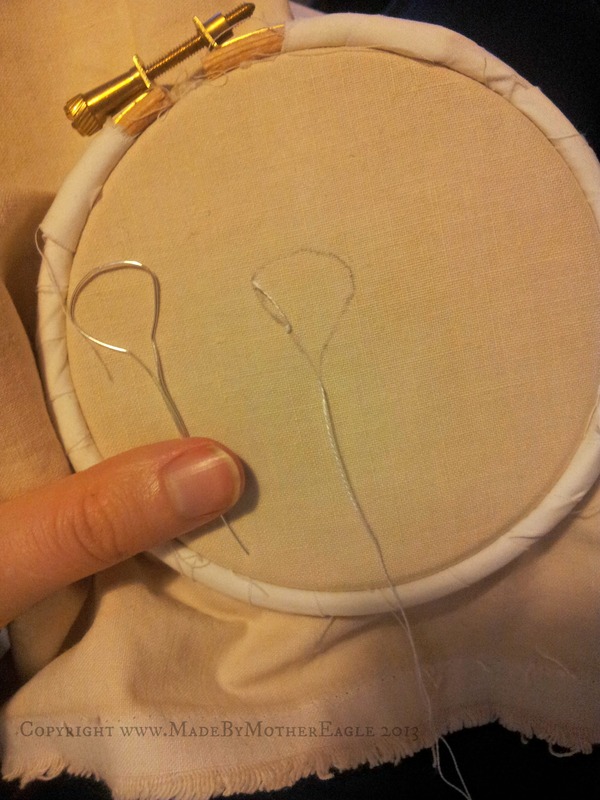 OK so when that’s done (I used split stitch, obv) it’s fine close buttonhole stitch all the way around. And that’s done! Now repeat 4 more times. Check back later in the week for the rest of the progress. Beautiful work, so neat! 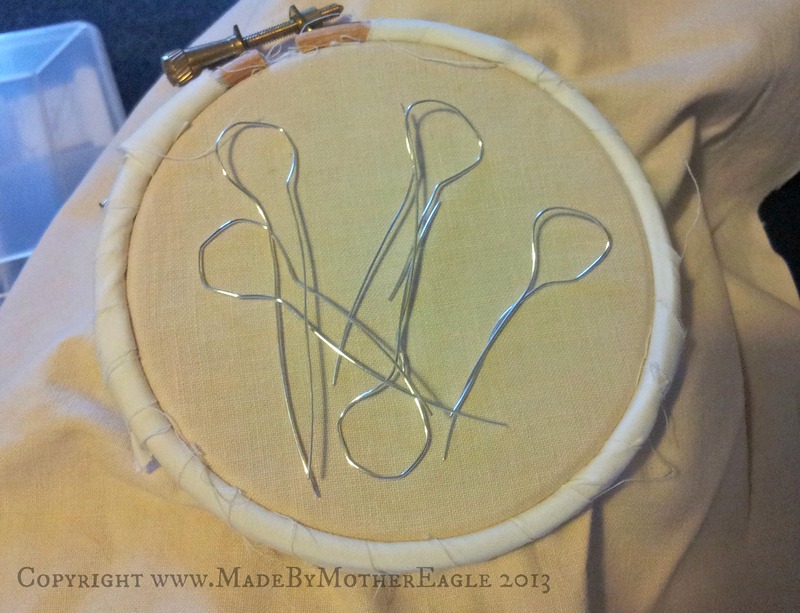 I have never tried stumpwork, not sure I am ready for it yet. Thanks everyone for their comments! 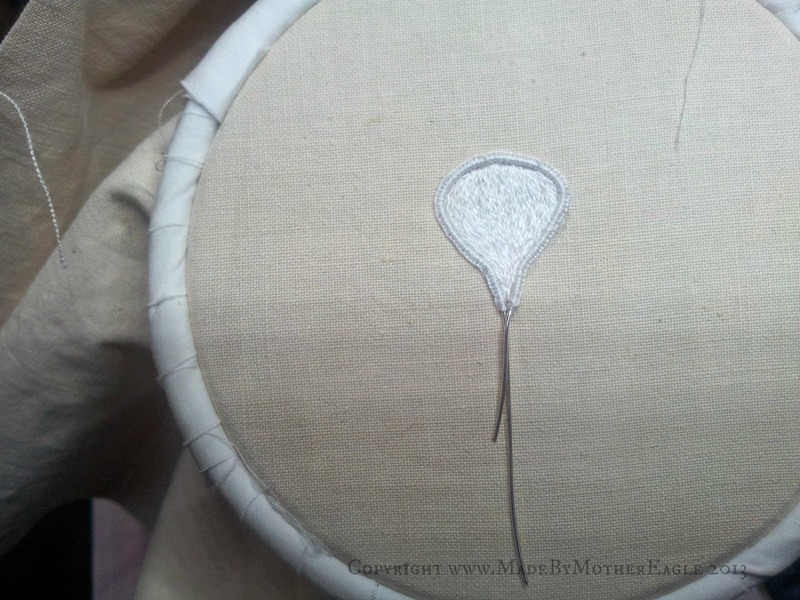 Victoria – I thought that about Stumpwork too, but when you get down to it, you discover it’s not THAT difficult when you break it into stages – certainly not beyond your talents! I hope with these new pieces I can give it a little modern twist. Thank you for this close up view of the process. I am really interested to see this piece progress. Please post as you go. I am an avid email follower.